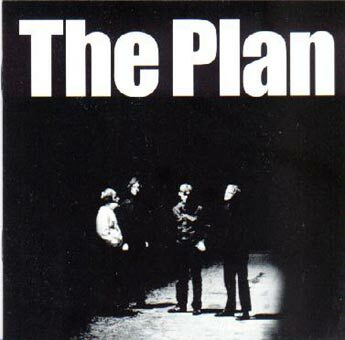 The Plan are the hottest band out of Sweden since the Hives and they could just be the biggest superstars on the planet. Back home, frontman Theodor Jensen is one of Sweden's biggest stars and is a member of Broder Daniel (one of Sweden's well known bands). We caught up with Jensen to find out about the Swedish Invasion and his Dylan obsession. Q: Sweden is such a hotbed of talent right now with the likes of the Hives and the Sahara Hotnights. You formed The Plan as a side-project to your other band Broder Daniel and its kind of taken off in its own right now. Would you like to tell us a bit about the path from Broder Daniel to The Plan? A: I didn't know what to do. I had bad jobs and didn't want to study. I like Broder Daniel but it was Henriks thing. I've always been writing songs but had a lot of self criticism. Finally, playing was all i did so i just made up my mind to make a record at any cost. Q: Listening to the album there's joy, desperation - a journey of the highs and the lows. Was that what you set out to get across with the album rather than do as many bands do and make it our "depressive" album or a "prozac" album? A: I didn't think in terms of concept at all, we just recorded every song as it should be regardless of the others. Q: I believe that the only thing you've listened to this year is John Coltrane. I hear the Blues influence continually though the album with almost a pop sensibility wrapping it all up. Who would you say your favourite artist / bands are and why? A: At the time i don't listen to anything . Sometimes i think that i only like Dylan. My girl says that it's because he has got curly hair just like me. Q: One of that many standout tracks is "The Days Just Glide In". Would you say this reaching for the stars and not accepting the gutter of a 9 to 5 job is what lies at the heart of the Plan? Q: Going back to the Hives and Sahara Hotnights. Would you say they're representative of the Swedish music scene and if not what bands would you recommend us to check out? What's your impression of the UK music scene at the moment? Q: Finally, when can we expect you over here for a UK Tour? A: I would love to come after our next release.